Well, famed artist John Myatt who has been hailed ‘the world’s finest living art forger’ has recreated the painting and it is the spitting image of the original. The only difference being that If you look closely at Myatt’s piece you will notice a tiny spec in the eye of Mona Lisa. 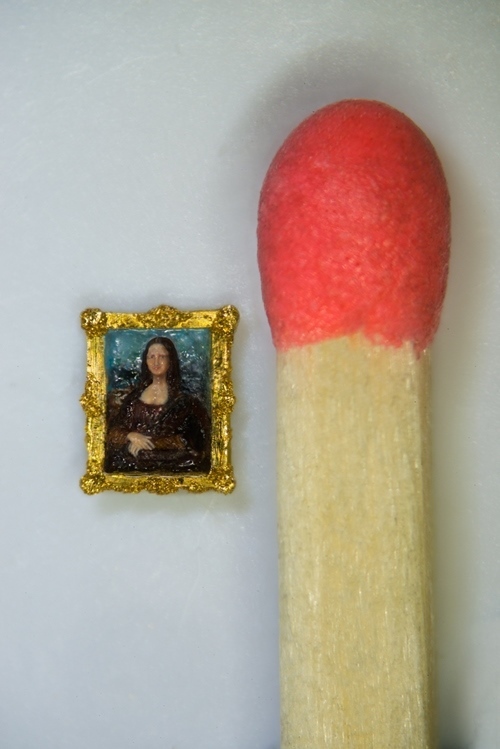 Further inspection, and the help of a magnifying glass, reveals that this speck is actually a teeny tiny replica sculpture of the famous painting. 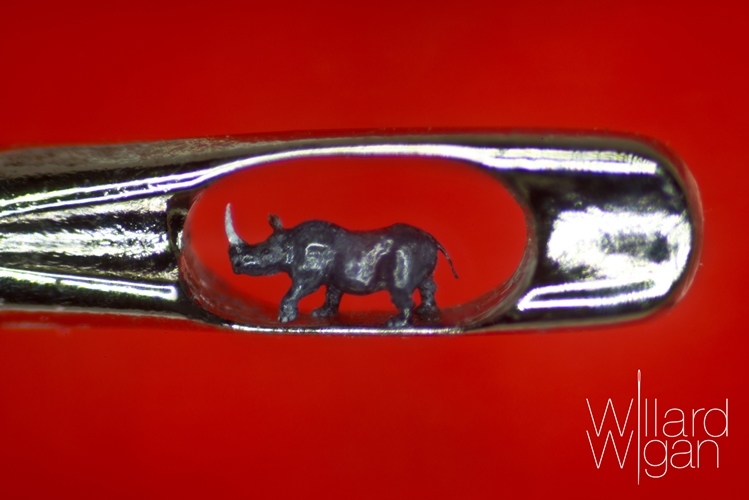 This micro sculpture has been created by Willard Wiggan, MBE and is no bigger than a pinhead and painted with a single eyelash. The two men decided to collaborate on the project after Wiggan saw that Myatt was already painting an original sized Mona Lisa replica. 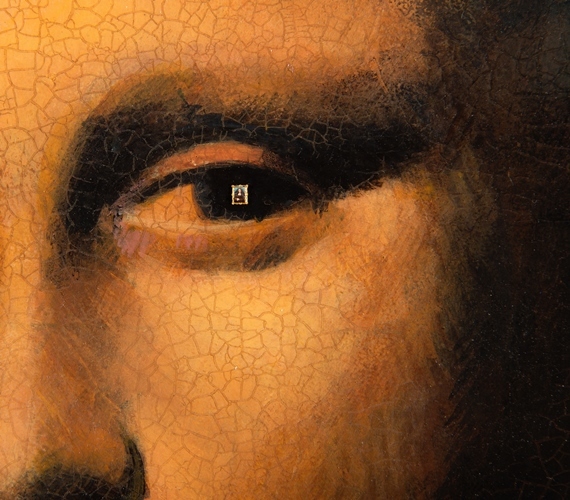 Both men had been intrigued by reports of a secret code being discovered in the eye of the Mona Lisa and were keen to create their own take on it. The only question was, where is the micro sculpture going to go? “I saw the painting I looked at the pupil and I said that’s the only place it’s going to go.” Said Wiggan. To give you an idea of how small Wiggan’s tiny sculpture is this is a man who once inhaled a project he was working on by accident. It’s that small. Luckily that didn’t happen this time and the result is a perfect image of the famous artwork carved on a piece of nylon inside a miniature gold frame, placed delicately in the eye of the larger perfect replica by Myatt. The final piece is called Mona Lisa: Secret In The Eye, although Wiggan objects to this and says that he would rather it was called ‘the reflection in the eye.’ As that is what he imagined when he was creating the sculpture. He said he thought it would be the woman’s reflection in the glimmer of her eye as she looks in the mirror. 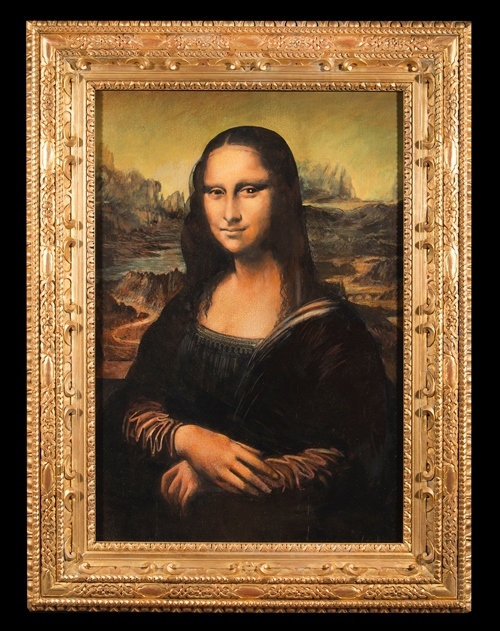 Mona Lisa: Secret In The Eye and is on sale for £1million. Currently, it is on display at Trinity Gallery in Mayfair, London. It is also available to purchase at veryfirstto.com.